Automatic Wine Opener. The perfect gift for the wine enthusiast in your life. All you need to open and enjoy your favorite wine Includes: Battery-operated auto wine opener Foil cutter Remove wine corks easily with our innovative Automatic Wine Opener. Our Automatic Wine Opener is a great gift for your favorite wine enthusiast. The automatic opener removes corks effortlessly with just the press of a button. The base serves to hold the opener when not in use. Base features a built-in foil cutter to make opening wine bottles even easier. 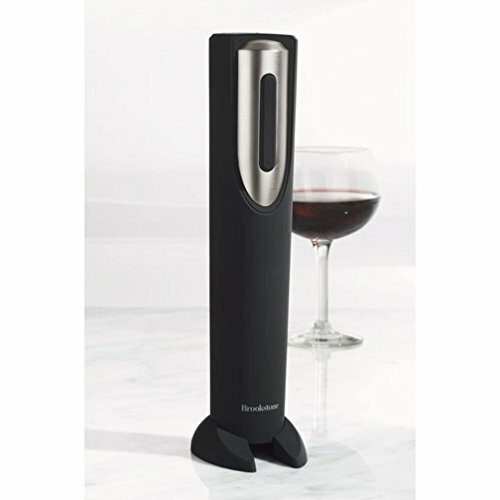 Make your favorite wine lover smile...give them an Automatic Wine Opener from Brookstone today!